MEET SPINE SURGEON LUIS M. TUMIALÁN, MD. Luis Manuel Tumialán graduated from Georgetown University School of Medicine with every intention of becoming an orthopedic surgeon. However, during an internship at the Naval Medical Center in San Diego, he saw neurosurgery in depth for the first time and realized his surgical career would not be in orthopedics after all. He knew he had to be a neurosurgeon. Dr. Tumialán says, "I simply could not forgo the privilege of diagnosing and treating diseases of the central nervous system." This decision led him down the path to becoming a neurosurgeon that specializes in minimally invasive spinal surgery. 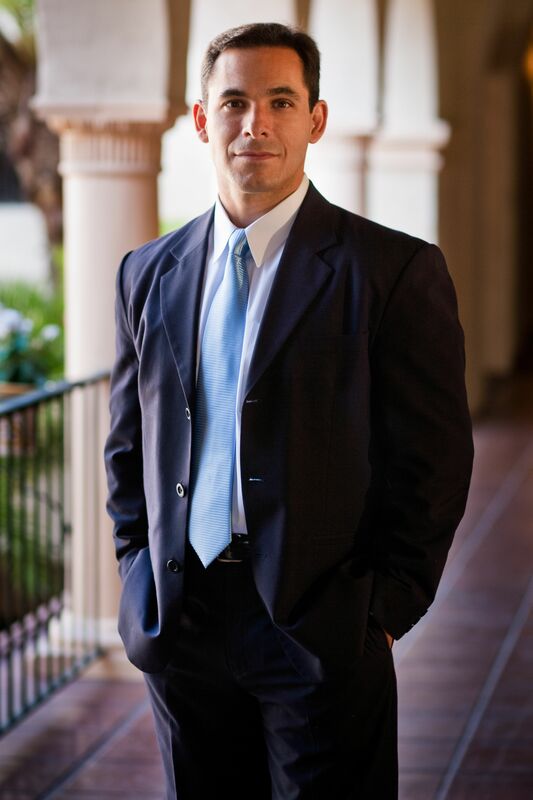 He currently serves patients from Scottsdale and Phoenix, AZ. As a Naval officer, Dr. Tumialán was obliged to follow the path the Navy set for him and his neurosurgery plans were temporarily altered to accommodate the needs of the Navy. Following six months of submarine school in Groton, Connecticut, and dive school at the Naval Diving and Salvage Training Center in Panama City, Florida, he received orders to serve as the Diving Medical Officer (DMO) assigned to Naval Special Warfare Unit One in Guam. With the events of 9/11, the sleepy outpost of Guam transformed into a busy center of operations for the Global War on Terror. Dr. Tumialán spent the next two years supporting missions for various Navy SEAL platoons around Southeast Asia and was tasked with doing everything from running a recompression chamber aboard a submarine to setting up battalion aid stations in jungles. He received a Naval and Marine Corps Commendation Medal for service in support of Operation Enduring Freedom and a Navy Humanitarian Medal for the search and maritime rescue of a foreign national. Once he returned to the mainland, Dr. Tumialán started his neurosurgery training at Emory University School of Medicine. Under the mentorship of Dr. Gerald (Rusty) E. Rodts, he became interested in treating diseases of the spine, with special focus on the biologics of spinal fusion and spinal cord injury, as well as minimally invasive spinal surgery and motion preservation. After the completion of his residency, he returned to where his career in neurosurgery had begun: the Naval Medical Center in San Diego. Dr. Tumialán's experience as a physician in the military helped him understand the importance of keeping operational forces battle-ready, particularly when it came to getting service members back to active duty following spine injuries. His interest in minimally invasive surgery and motion preservation found new footing at the Naval hospital, as both of these techniques minimized hospital stays and expedited the time it took for his patients to return to duty. As a result of this experience, he values these approaches to this day. Dr. Tumialán applies the same dedication and innovation to his BNA patients as he did as a Navy neurosurgeon. According to Dr. Tumialán, "Several of the SEALs and divers with whom I served years ago later became my patients. I am committed to treating all of my patients with the respect and compassion I would show my fellow servicemen and women." Dr. Tumialán is married with three sons and a daughter. He enjoys spending time with them and exploring all that the Phoenix area has to offer. Edison’s statement resonates with Dr. Tumialán’s philosophy, which is why he emphasizes optimization of core muscle strength and striving to achieve ideal body mass index as central to patient’s care. The goal is actually to prevent the need for further surgery if not avoid surgery altogether by embracing this principle.